Neverland is a simple yet elegant theme from KDE Webteam. It offers a soothing visual experience and flawless navigation. This tour gives an overview of the primary features and functionalities offered by Neverland. 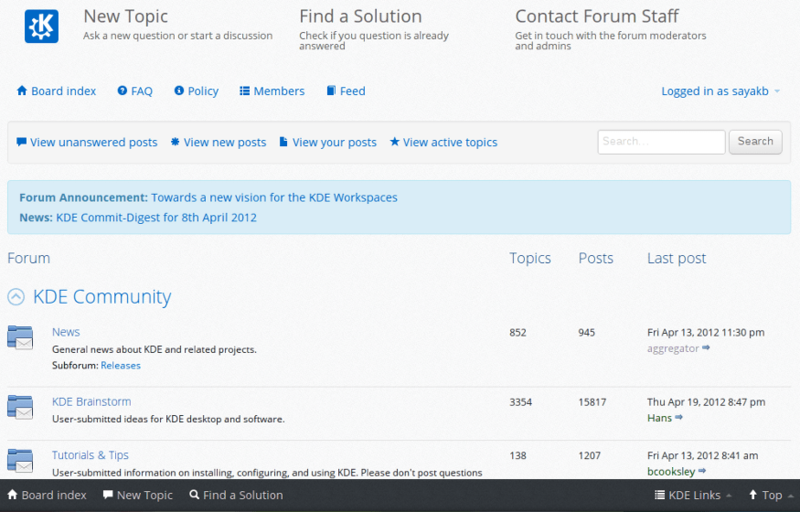 KDE Brainstorm offers a new look and feel: a simple, easy to use interface completely integrated with the forum. 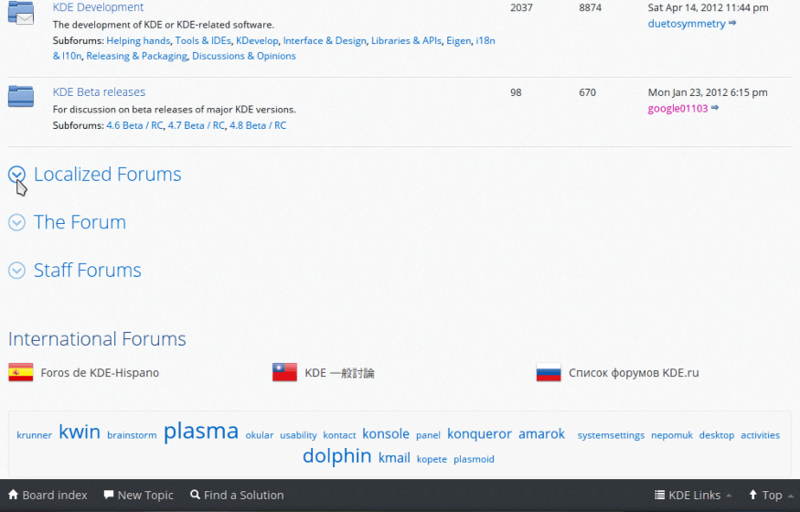 Neverland allows you to customize the main forum index page to your needs. A click of a button is all you need to hide the categories you don't visit. Aiming at a clutter-free UI, Neverland offers a context based navigation system. 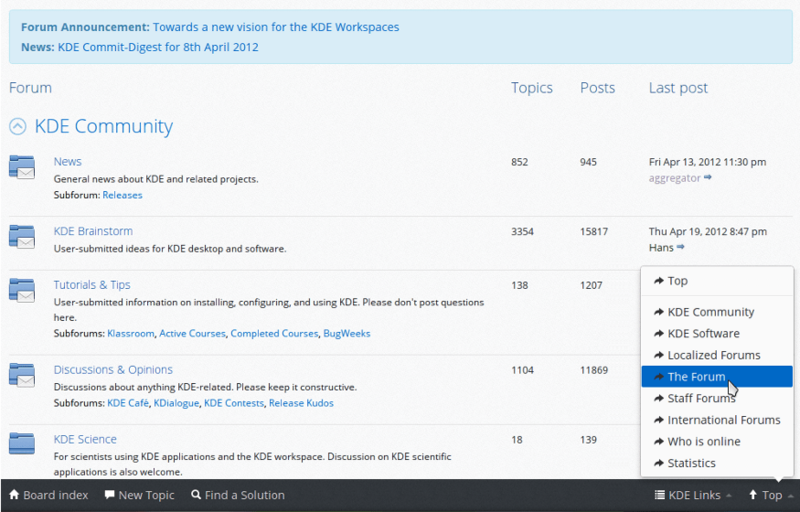 All forum, topic, or user functions are available from their corresponding context menus. 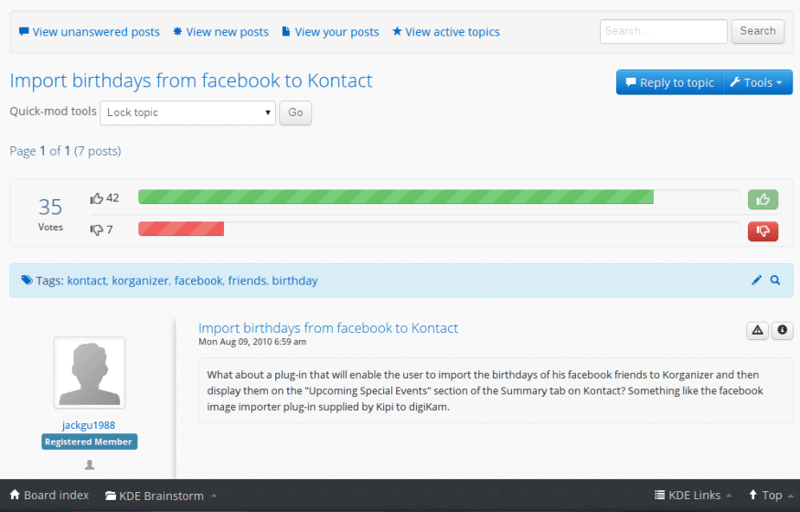 Different sections are easily acessible through a visual navigation menu. No more need to scroll through lengthy lists of forums. 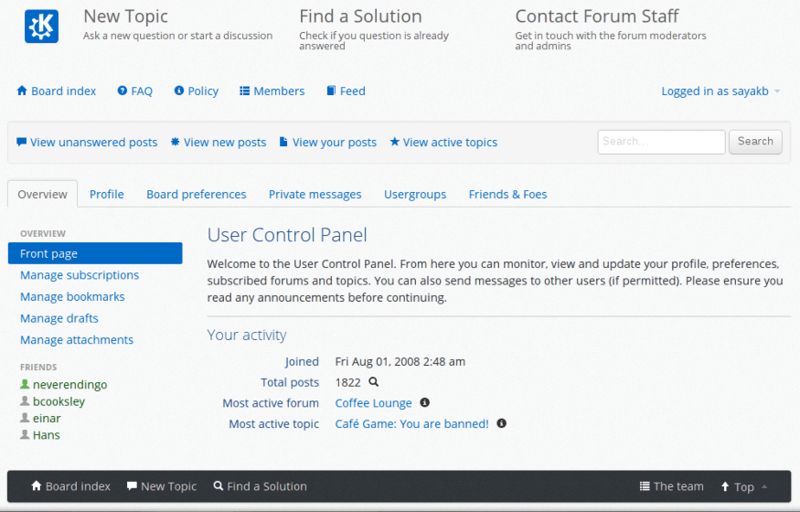 While browsing the forums, you can quickly navigate through the hierarchy from your current position to the main index. 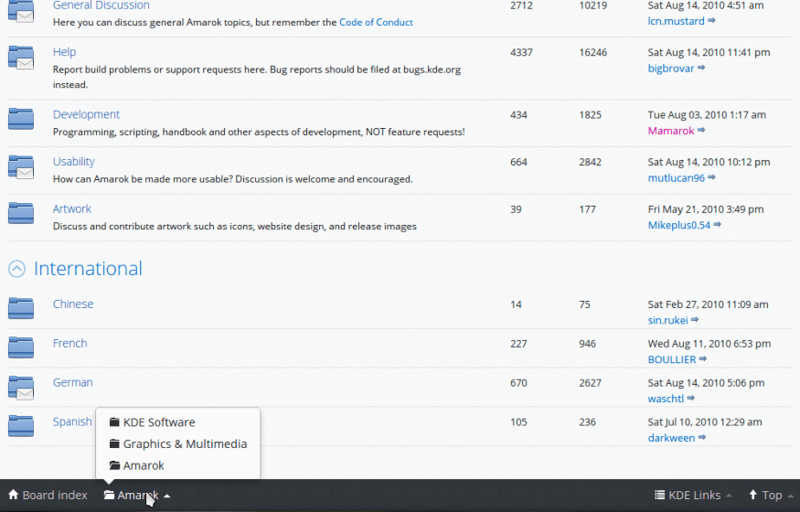 You can access the current hierarchy by clicking on the current folder link. The guided posting tool has been completely revamped to make its use easier and more accessible. 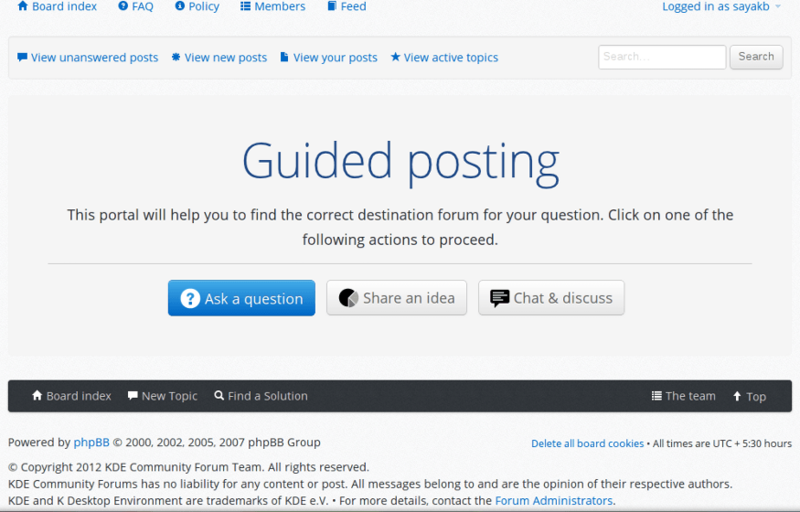 Guided posting can now be accessed from the forum header, by clicking on the "New Topic" link. 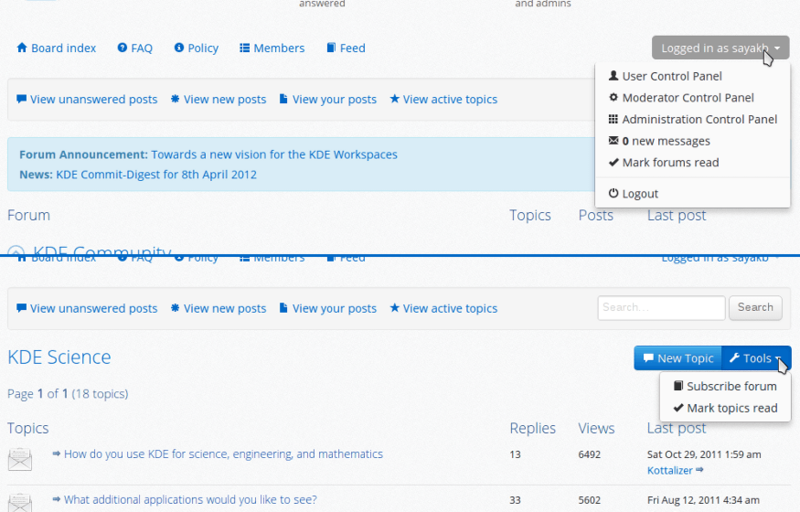 The user control panel is now simpler and easier to use: finding the setting you are looking for is much quicker. Also, viewing and messaging your online friends is much easier.